"Membership is doing for yourself what you cannot do by yourself. It is an investment in your future. It is not a purchase or a donation. Consider membership for its long-range benefits rather than immediate results. You wouldn't drive without car insurance, nor should you teach without professional insurance." Why Do Teachers Join JCTA? Unlimited local attorney assistance and $1 million liability insurance for each member. Attorney referral on non¬job related legal problems. Regular meetings with district administration. Representation at investigations and due process meetings with your principal. An avenue for receiving quick, confidential and impartial advice on professional matters. Representation at the state and national levels of the Association. Information and local workshops on topics such as: employee rights, diversity, classroom management, ethics, student discipline, transfer procedures and SBDM, including training approved for professional development credit. Weekly newsletters called ACTION, monthly magazines called NEA Today, quarterly newspapers called KEA News, up-to-date websites and informative emails. 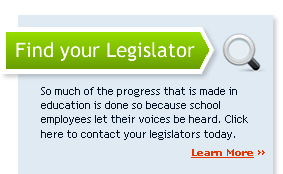 A voice in determining the future of education in your district, state, and nation. Information about and the opportunity to attend state and national Association conferences and the opportunity to attend. An outlet that produces positive images of public education employees and communicates public education employees’ views on issues. A bargaining agent who negotiates salary, benefits and working conditions with member input. Staff who lobby to promote public education at the Kentucky State Legislature and US Congress and seek member input on legislative agendas. A Sick Leave Bank that provides JCPS employees who have exhausted all of their accumulated sick leave with approved days from the Bank. At NEA Member Benefits, we know many NEA member households are struggling to navigate through today’s difficult economic times. Coping with layoffs, salary cuts, and other financial issues, NEA members are looking for solutions. As member advocates, we have been working with our program suppliers to ensure that participating members get the support and consideration they need and deserve. Below is a list of services that are currently available to NEA members facing economic challenges. NEA MB will continue to collaborate with our suppliers to identify additional opportunities to provide special consideration and, where possible, temporary relief from financial pressures. We’ll continue to update this list as new services become available. NEA MB’s Member Service Center is a member’s one-stop shop for information. Member Service Representatives are available by phone or e-mail to assist in identifying programs and services that may be available. Please call us at 1-800-637-4636 or e-mail us at ask-us@neamb.com. NEA Member Benefits and the National Foundation for Credit Counseling (NFCC) have teamed up to provide debt management and housing counseling services to NEA members and their families. Members can contact NFCC at 1-866-479-NEA2 (1-866-479-6322) or visit www.debtadvice.org/nea to find a local agency. NEA MB recently partnered with Teachers-Teachers.com, a free online education placement service, to help members find new teaching positions, administrative jobs and education support positions. Visit Teachers-Teachers.com to view job postings from school systems nationwide. Members in need of assistance should call 1-888-800-5160. Customer assistance representatives are trained to develop appropriate, customized solutions for members whose accounts are past due. This may include: reducing monthly payments, reducing interest rates or fees, providing financial education materials, and/or making referrals to non-profit credit counseling services. Members in need of assistance should call 1-800-NEA-4YOU (1-800-632-4968). Customer service representatives are trained to work with members to modify loan terms/payment plans and develop customized solutions to prevent foreclosure. The NEA Members Insurance Trust (NEA MIT) announced that it will waive participant premiums for members who have been laid off. Affected members may request a waiver of premium for a 12-month period, even if they go back to work. Participants are eligible for the waiver as long as they were an active member at the time they were laid off. Members with questions about the waiver should contact the NEA Member Benefits Member Service Center at 1-800-637-4636 or email ask-us@neamb.com and one of our Member Service Representatives will assist. Members also have the option to reduce their coverage to lower their premiums and can increase coverage back to the original amount within 2 years of the reduction of coverage without going through the underwriting process again. Members who have disability income insurance prior to being laid off can reapply for the level of coverage they had before they were laid off. Members who are rehired (by their former or new employer) can reapply for the coverage within 3 months of the layoff without undergoing the underwriting process again. John Hancock will work with members who have been laid off to reduce their coverage and/or premium payment. Members have a 72-day grace period for late payment. Members in need of assistance should call 1-800-877-7345. Members may skip payments during the summer months. If a member is laid off, the skip payment option can be extended to other months. Members who have been laid off should indicate this to the customer service representative to be transferred to a team manager who may be able to assist with other options. In view of the current economic turmoil, Security Benefit will waive the Contingent Deferred Sales Charge (CDSC) for NEA members who have NEA Valuebuilder accounts and who have been laid off and need to access their assets. This offer applies to all NEA Valuebuilder variable annuities issued by Security Benefit Life Insurance Company (SBL) and tax-sheltered accounts for which Security Financial Resources, Inc. (SFR) is the recordkeeper. It does not currently apply to those contracts issued by Nationwide Life Insurance Company. Members who qualify and want to take advantage of this waiver should contact their assigned representative or call 1-800-NEA-VALU (1-800-632-8258). This offer is subject to certain conditions, and applicable IRS early withdrawal penalties will still apply. Please contact Security Benefit for more information. Securities are distributed by Security Distributors, Inc., a subsidiary of SBL. SBL and SFR are affiliates and wholly owned subsidiaries of Security Benefit Corporation (“Security Benefit”). Restaurants.com – Save up to 80% Get $25 certificates for just $2! This program offers members and their families free hearing screenings at qualified and monitored professional service providers and discounts of 30% - 70% on many brands of hearing aids; lifetime hearing aid cleaning and check-up service, a 2 year warranty, and 3 years of free hearing aid batteries with no enrollment fee or premium. This program offers savings of 5% to 50% off vision care and prescription drugs at more than 55,000 pharmacies and more than 11,500 vision care centers. Members affected by layoffs will receive a 1-year waiver of their annual fee.